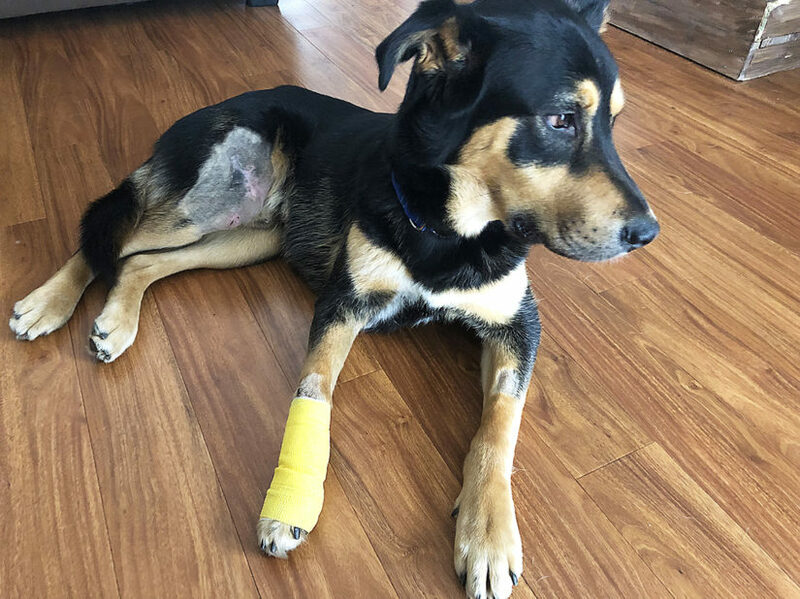 Halston was hit by a vehicle and the driver, feeling terrible about what had just happened, stayed by the poor young dog’s side until help arrived. RCMP and bylaw officers pulled over and assessed Halston to make sure he had not succumbed to his injuries at the side of the road. 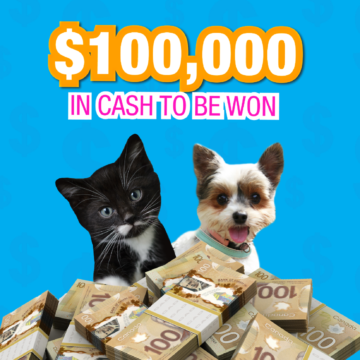 We don’t always know why or how animals and people chose each other. This is one of those times. The RCMP member on scene of the accident was drawn to Halston from that chance meeting on a cold day in February. Halston was taken to Riverside Small Animal Hospital where the veterinarian determined that the dog was in shock after all that he had been through and required oxygen therapy. Within the hour, the RCMP member and their spouse were there checking on him. There is something in his eyes that drew them in and he was never far from their thoughts. 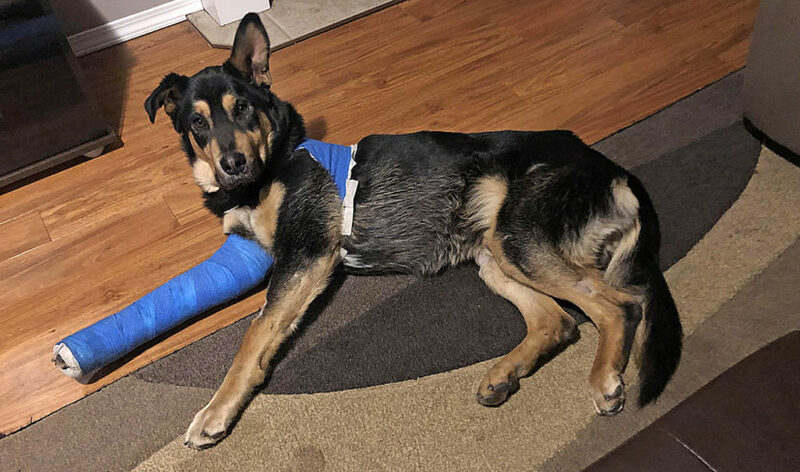 The young Rottweiler mix was then transferred to the BC SPCA Kamloops Branch with a dislocated elbow, collapsed lung, broken teeth and soft tissue damage from road rash. He wasn’t stable enough at first to go under anesthetic to have his elbow popped back in and had to wait a day to undergo the procedure. 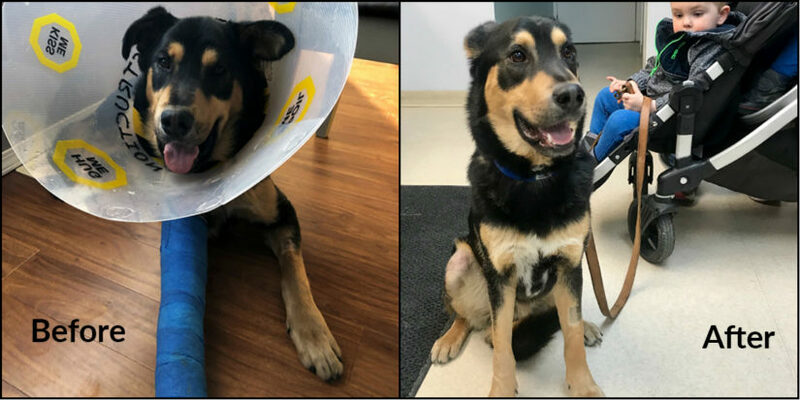 Members of the public raised $3,830 through the SPCA’s medical emergency fund for his care and Halston spent about four weeks recovering from his injuries in a foster home. 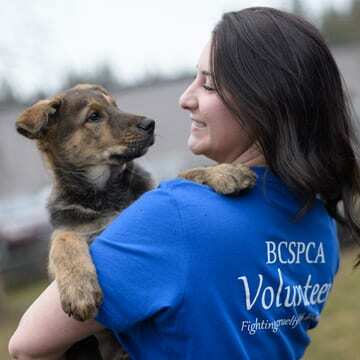 He was visited again by the RCMP member and their spouse who decided to fill out the paperwork and adopt him. Halston is now called Waylon and it didn’t take long for him to fit right in with his new family. Once his cast came off and his injuries were almost fully healed they brought him home. 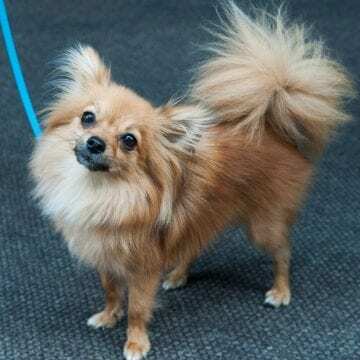 “Waylon is shy of new things and new people but very curious. He loves being outside lounging in the sun or in the house curled up on his new bed. 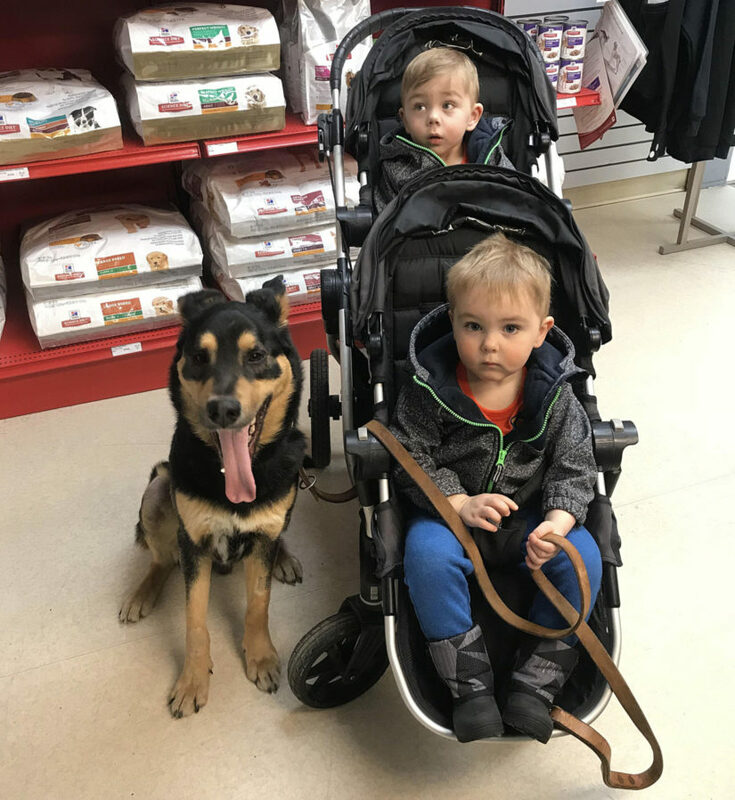 Though he is still a little unsure, he braves the roughhousing of two toddlers and is always with them. They are a great match! All three of them just like being around each other. Congratulations to Waylon for overcoming a terrible accident and finding a loving home where he will be safe.